Stress dermatitis. 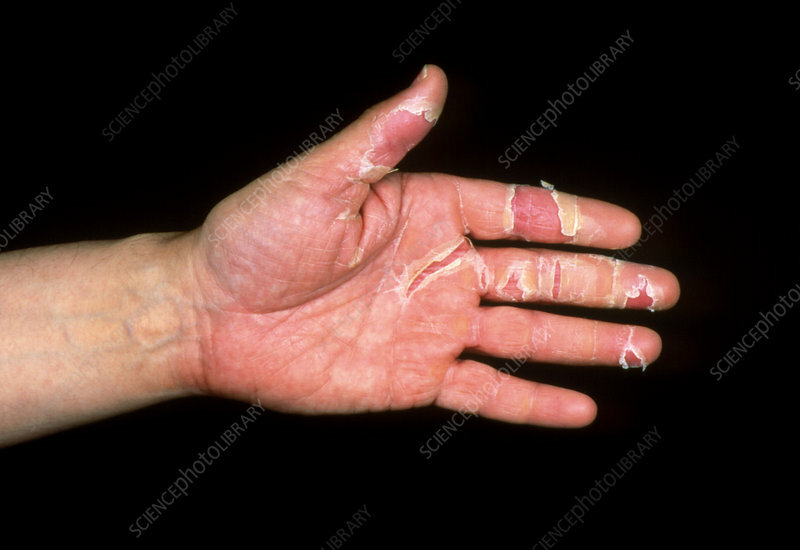 A man's hand showing severe dermatitis with peeling skin, as a reaction to stress. Dermatitis is an inflammation of the skin, which may be accompanied by a red, itching rash. Many factors can trigger dermatitis: it may be a skin allergy to a metal or detergent; it may be a reaction to stress; and in many cases the cause is not known. Here, the dermatitis subsided when the stress was alleviated. Drugs may be given to reduce severe inflammation or itching.